Here's again is my way of saying "thank you" to all my blog readers and twitter followers. 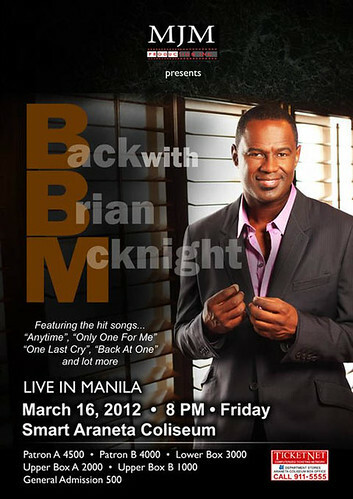 Brian Mc Knight will be back in Manila on March 16,2012 8pm at the Smart Araneta Coliseum to serenade you with his classic love songs and here's your chance to watch for free! I am giving away two (2) "Back with BRIAN McKNIGHT Live in Manila" Concert Tickets for one lucky blog reader.Of course you need to have twitter account to join this contest.If, you have none yet, it's time you give twitter a chance! 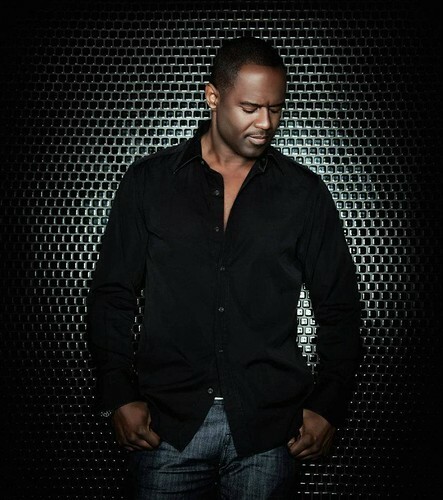 Brian McKnight, best remembered for his classic hits “One Last Cry“, “6, 8, 12″ and “Back At One“, is also making the tour a family affair this time around and will be joined on tour by his brother Claude McKnight (Take 6) and sons BJ and Niko also known as “BRKN RBTZ” (broken robots), for what promises to be a spectacular one-of-a kind show. Additional information on the Brian McKnight concert.Brian's sons Brian Jr. and Nico McKnight will join him in the concert. His two sons are the ones behind the song, Marry Your Daughter. 3. 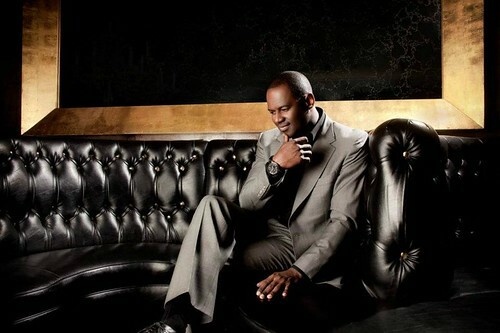 Tweet ---"I want to win two (2) "Back with BRIAN McKNIGHT Live in Manila" Concert tickets via pusangkalye.net @pusangkalye22." 4. LIKE and paste your tweet in PUSANGKALYE Facebook Fanpage. Feel FREE to LEAVE A COMMENT here in this post. REMINDER: NO SHORTCUTS PLEASE. Or else, Rafflecopter might not trace your entries. (Sayang naman) Thanks guys!!!! The WINNER will be electronically drawn via http://www.rafflecopter.com/ and will be announced March 11,201. Ticket price Patron A – Php 4,500, Patron B – Php 4,000, Lower Box – Php 3,000, Upper Box A – Php 2,000, Upper Box B – Php 1,000, General Admission – Php 500. Magandang "making it up to you" date ito ah? Hehehe! Hi there, i saw you and your wife this evening around 6:30PM at SM Taytay. I was planning to approach you but were already riding the elevator. I hope to win tickets para maka nuod kame ni tay ko ng concert, been a fan of Brian McKnight nuong college days pa. luwas kame for this. ayan, sumali ako. magpakabait ka rafflecopter! eto na ang beginner's luck! I entered this contest! Sana manalo ako! wow please hope I win this time . Thank you for such a nice promo! !